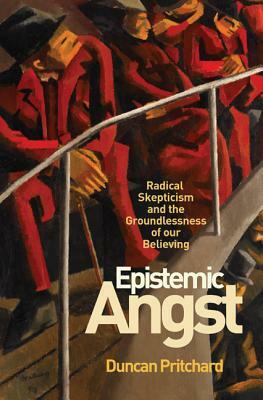 Epistemic Angst offers a completely new solution to the ancient philosophical problem of radical skepticism--the challenge of explaining how it is possible to have knowledge of a world external to us. Duncan Pritchard argues that the key to resolving this puzzle is to realize that it is composed of two logically distinct problems, each requiring its own solution. He then puts forward solutions to both problems. To that end, he offers a new reading of Wittgenstein's account of the structure of rational evaluation and demonstrates how this provides an elegant solution to one aspect of the skeptical problem. Pritchard also revisits the epistemological disjunctivist proposal that he developed in previous work and shows how it can effectively handle the other aspect of the problem. Finally, he argues that these two antiskeptical positions, while superficially in tension with each other, are not only compatible but also mutually supporting. The result is a comprehensive and distinctive resolution to the problem of radical skepticism, one that challenges many assumptions in contemporary epistemology. Duncan Pritchard is professor of philosophy at the University of Edinburgh, where he is the director of Eidyn: The Edinburgh Centre for Epistemology, Mind and Normativity. His books include Epistemic Luck and Epistemological Disjunctivism.